Wow! What a great discussion of using mistakes and failure as steps to success. I particularly liked the comments on fixed vs growth mindset as I really think that the best leaders either are born with a growth mindset or through the natural struggles of life evolve into a growth mindset. This certainly was the case with me as I overcame the horror of leading an organization through bankruptcy. 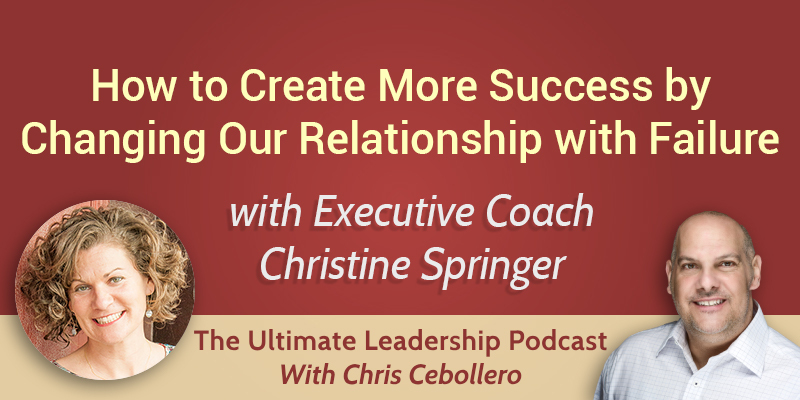 Great stuff Chris and Christine!